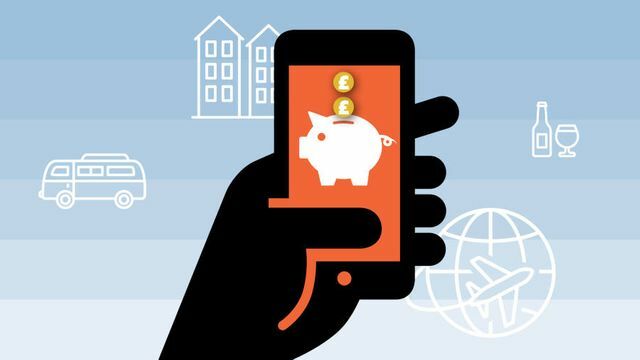 The FT recently put a few financial services apps by some of the industry's new entrants (including a couple of the digital 'challenger' banks) through their paces (take a look here) and there are some interesting points about user experience, product features etc. But if you build great UI, run some ads for the Current Account Switch Service and throw in a few industry initiatives like Open Banking to try and tackle the dominance of the big players, will the people actually come? Focussing on the start-up digital banks, many of them are reporting impressive customer numbers, high growth rates and remarkably low costs. But a recent conversation with a friend who told me how much they love their digital bank and loathe their high street bank, yet admitted they haven't made the digital player their MFI (main financial institution) by getting their salary paid into it was eye-opening. For the record, I'm an even worse digital banking customer than this, as I tend to only use my account when overseas due to the better product features and fee structures. The uphill battle these digital banks face isn't a new discussion - it's been well covered, including in the FT's Alphaville, The Independent and The Guardian. But if my friend (and I) won't make them our MFI, can these digital banks really become that profitable, and are they going to seriously threaten the big banks? What will it take to make people 'properly' switch to them? Is 'marketplace banking' (a concept we explored in our Open Banking report in 2017), which many of these digital banks strive for, enough of a lure? Or are concerns around trust (elevated by recent controversies on the use and storage of personal data and the main reason my friend won't move their salary away from their high street bank account) the big issue? Other users may find the data sharing made possible by Open Banking more disturbing. Although providers are licensed by the FCA, few are household names. In the wake of the Cambridge Analytica scandal, can we trust them with our data? The four testers were split on this — two of us signed away our data without a second thought, impressed by the functionality, and two of us were more reticent. By the end of the trial, it was clear that for all their gimmicks and nudge tactics, many fintech apps were trying to create solutions for problems that do not exist.